Information — the gathering and distributing of it — makes the world go ‘round. As Google’s Eric Schmidt said back in 2010, the world creates as much information in two days as it did from the dawn of man through 2003. As a tool designed to collect information, online surveys provide you with a useful way to collect and analyze this incredibly large amount of information. If your business in any way relies on consumer data, you need to create your own surveys to build a more efficient and responsive organization. Before deciding on an online survey tool and starting to create your own surveys, consider this — your survey platform must provide control, flexibility and ease of use. Control allows you to structure and design your survey any way you want. It means having a wide variety of question types and the ability to organize and present your data how you see fit. Flexibility describes a survey platform that can meet a wide variety of business needs such as assessments and registration forms. Also, a flexible survey tool allows you to brand your surveys, while providing multiple distribution channels and powerful data analysis. Ease of use refers to the steepness of the platform’s learning curve. A highly usable survey tool doesn’t require expert knowledge, or the need to wade through thick user guides. But it should be intuitive and logical. 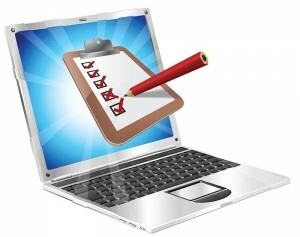 Ease of use also means that your participants should be able to quickly navigate your survey. While there are many types of survey tools on the market, only SoGoSurvey’s platform is founded on all of these important considerations. SoGoSurvey also has a number of advanced features designed to ensure data integrity and quality. There’s a wealth of useful information created every day; online surveys have made the collection and analysis of this data easier and more critical than ever. Innovative businesses have learned how to take advantage of all this information and you can, too. Make SoGoSurvey the foundation of a smarter company.